The refrigerator is the most important and widely used home appliance in America. No home should be without one. Only a group of Yeti (abominable snowman) would know how to preserve meat, vegetables, and dairy products without the aid of refrigeration. In its earliest inception, the refrigerator helped expand the ice harvesting industry which became one of the ten leading industries in the United States during the early 1900’s. Any new invention released to the public would eventually need maintenance or repair service. The arrival of the modern home refrigerator inevitably gave birth to the refrigerator repair person. The advent of the modern domestic refrigerator is a remarkable and most needed home appliance, yet it is not without a variety of imperfections that require periodic maintenance, repair, or replacement. A refrigerator is often taken for granted until it breaks down. And then it becomes the center of attention. Have you ever returned from vacation only to discover that your refrigerator has not been working for an indeterminate period of time? But long enough for meats, vegetables, and dairy products to spoil. The smell is beyond the pale, over the top, and unbelievably hideous. You wonder if the power had gone off while you were away and you reset the circuit breaker. But those suspicions are unfounded because you notice all the electric clocks are working. The digital display on your range is working just fine. But your poor stinky refrigerator has the smell of death inside. After securing a mask over your face, covering your nose and mouth, you hurriedly clean out all the spoiled food and dispose of it. Before refrigeration went electric, ice used by Americans came from lakes and rivers in the northern part of the country. Harvesters were able to cut 300-pound blocks and transport them to major cities. By the early 1900’s, over 90% of American homes had an ice box. The burgeoning ice harvest industry began to flourish with the daily need for ice. Fresh ice trucks could be seen delivering ice to homes and businesses at least three times a week. The ice season was from December and ended late March. The window of opportunity was brief. Ice could be preserved using burlap and straw and stored in buildings made of stone or thick timber. In the beginning, men used hand saws to cut the ice. Horses were later recruited to pull large ice cutters and production increased at twice the rate. Ultimately, ice harvesters began to use gas powered saws. Along came the digital age which promised to accommodate a busy lifestyle. Now the refrigerator has an added component to increase the possibility of needed repair or replacement sometime in the future. There are any number of things that can plague your refrigerator. Are the ice cubes clear and frozen or opaque and mushy? Is the compressor making odd noises? Is there a funny smell in the refrigerator compartment or freezer? Are you finding that you are needing to increase the temperature setting for either your freezer or refrigerator? 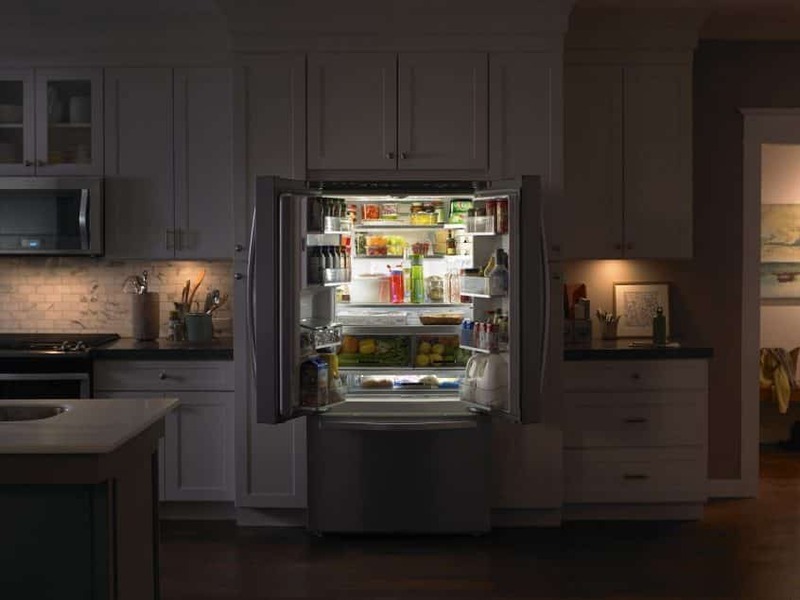 Did you just come home from vacation and find your Frigidaire filled with spoiled food? Is your refrigerator cold enough or is it getting too cold? Modern home appliances do provide convenience but at one time some of the things we now take for granted were a luxury. Harvested ice began to be transported all over the world by horse, train, and ship. Box-cars became icebox cars and were used to transport perishable meats and vegetables. The Great Lakes became a lucrative resource because the ice was harder and clearer. The better ice increased demand and profit. Ice houses became a common sight along the shores of the Great Lakes. Ice in hibernation was uncovered in the Spring and sold through the Summer months. The ice harvesting industry fell to the arrival of the electric icebox. If you can answer yes to any of the previous troubleshooting questions regarding some of the more common things that can go wrong with a refrigerator, then you’ve come to the right place. 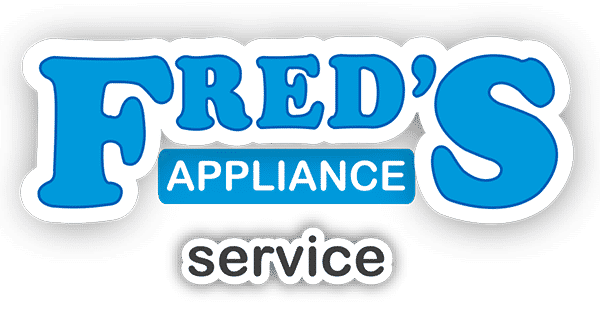 Call Fred’s Appliance at 888-453-7337. 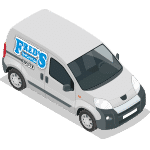 We take pride in the fact that we train our technicians here at Fred’s Academy. If you’d like to discuss this or anything else related to refrigerator repair, contact us today. Warm, friendly folks at Fred’s Appliance look forward to talking with you.